The Grudge They say that when someone dies in a powerful rage, a curse is made. From filmmaker Sam Raimi and acclaimed Japanese director Takashi Shimizu comes this special extended edition featuring terror never-before-seen in the original release. Packed with all new bonus material including fifteen deleted scenes and Director Takashi Shimizu's original Ju-On short films 'In a Corner' and '4444444444', the Grudge Extended Director's Cu.. They say that when someone dies in a powerful rage, a curse is made. From filmmaker Sam Raimi and acclaimed Japanese director Takashi Shimizu comes this special extended edition featuring terror never-before-seen in the original release. 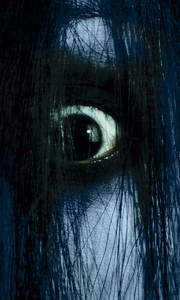 Packed with all new bonus material including fifteen deleted scenes and Director Takashi Shimizu's original Ju-On short films 'In a Corner' and '4444444444', the Grudge Extended Director's Cut will cons.. When the cast and crew of a paranormal TV show film on location at the Ju-On house, they immediately get chills and the eerie feeling that something or someone is watching them. As they depart from the shoot, strange things begin to happen... Acclaimed filmmaker Shimizu Takashi returns with the original Japanese sequel to Ju-On: The Grudge (a curse born of a grudge held someone who dies in the grip of powerful anger). This psychological..
Own The Grudge 2 DVD from Deff, DVD, Blu-Ray & 4K Video Specialists - Free UK Delivery..
Kayako and Toshio's curse continues by haunting The Grudge 2's only survivor, Jake (Matthew Knight), who is now confined to a psychiatric hospital after his family's alleged suicide. As Jake's case worker Dr. Sullivan (Shawnee Smith, the Saw series), investigates his Chicago home, the curse continues to claim more victims. As the rage spreads, it becomes clear that Jake's horrifying stories are true, and that a mysterious Japanese woman..
Kayako and Toshio's curse continues by haunting The Grudge 2's only survivor, Jake (Matthew Knight), who is now confined to a psychiatric hospital after his family's alleged suicide. As Jake's case worker Dr. Sullivan (Shawnee Smith, the Saw series), investigates his Chicago home, the curse continues to claim more victims. As the rage spreads, it become clear that Jake's horrifying stories are true, and that a mysterious Japanese woman ..